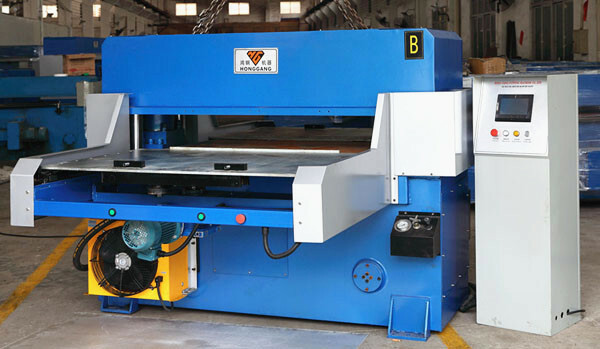 This hydraulic die cutting machine used for die cutting disposable plastic blister packaging,epe foam packaging,sponge sheet,large non-metallic material sheets and so on. pressure,cutting depth, feeding speed easier, faster and more precise. Double automatic working tables, increases the output twice or triple. Auto-balance structure of double-cylinder, four-column and self-balance connecting rod, makes sure equal pressure in any working area. 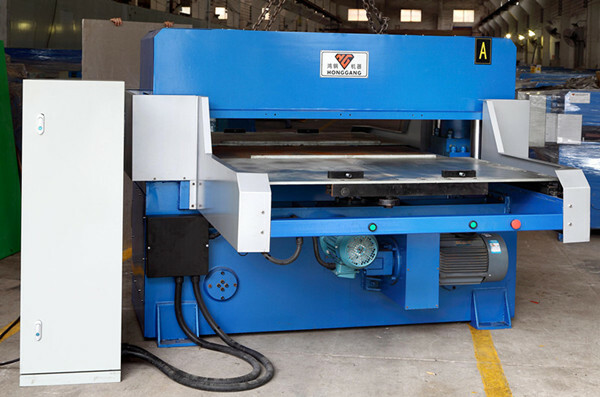 Powered by hydraulic system, slow down when the cutting die touches material, to confirm the precision between upper and bottom for thick materials. 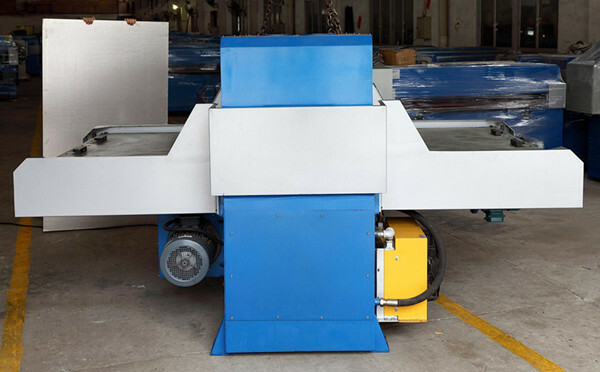 Central automatic lubrication system, increases machine durability, prolong the working time. 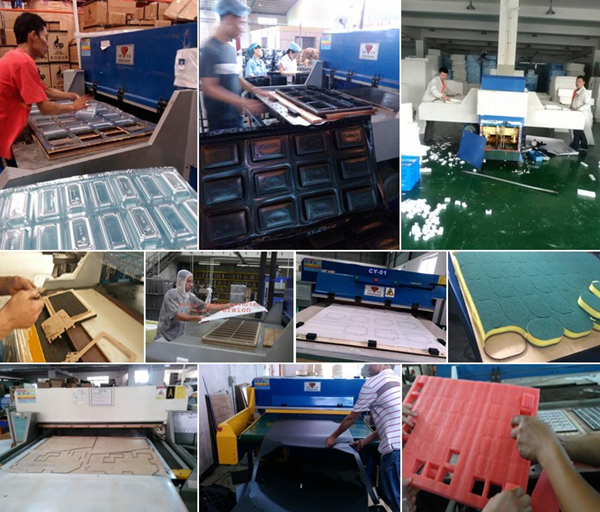 Cutting area 610x1220mm, 710x1220mm,610x1400mm, 810x1400mm, 610x1600mm, 810x1600mm, 910x1800mm,etc as request.